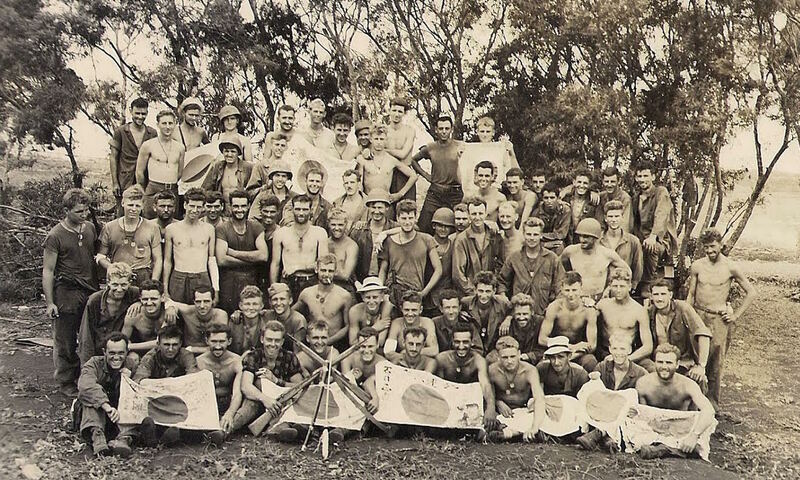 Survivors of Company B on Tinian, following the Marianas campaign. 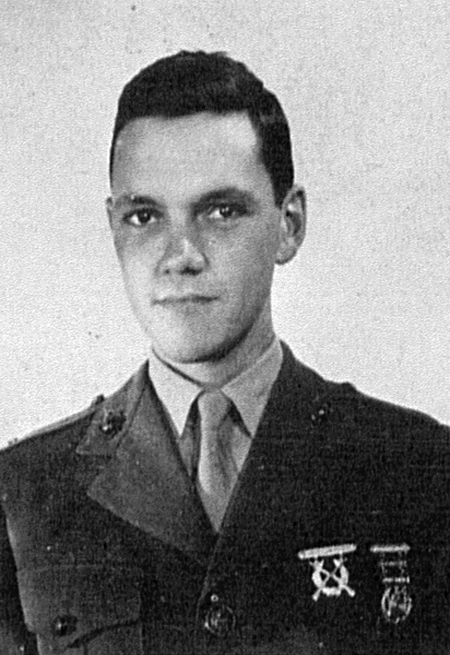 View individual biographies of the members of Company B.
October 1, 1944 William A. Eddy, Jr.
Decorations shown were awarded for service with Baker Company. Fred B. Penninger Leslie M. Chambers, Jr.
Marvin E. Opatz Charles F. Aldinger, Jr.
My Dad, Henry G. Pileckas, 1st Battalion, 24th Marines, Baker Company…..is there anybody out there that remembers him? 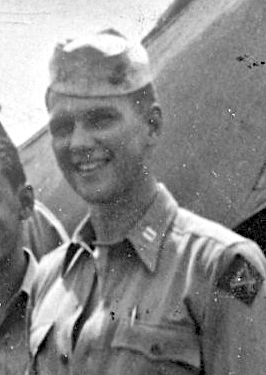 He fought at Guam, Saipan and Tinian and then was sent to Colgate University for Officer Training. 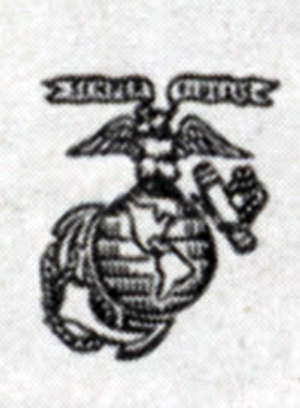 My dad was also 1st Battaloin, 24th Marines, Baker Company. He died in 1987 of lung cancer. My grandfather was Donald B Strunk (Slim). He was a machine gunner and landed on Iwo Jima via the USS Hendry on February 19th. He was wounded on the 24th with shrapnel and was evacuated. 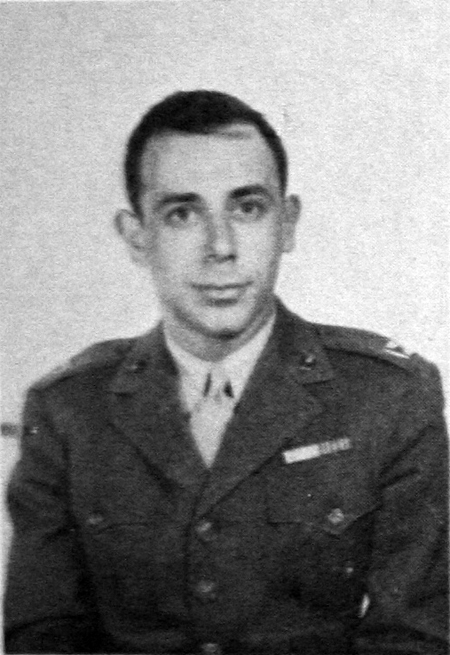 He was 1st Battalion, 24th Marines, 4th Marine Division (and Baker Company according to this site). Does anyone know this name? I am desperately trying to find any remaining vets who he may have served with.